I have been reading Reinventing India, a set of essays focused on India’s innovation potential by Dr. Raghunath Mashelkar. These essays are based on talks given by Dr. Mashelkar over the years, and have been compiled with his introductory notes. 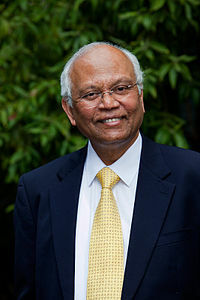 I first met Dr. Mashelkar sometime in early 1994, when I visited the National Chemical Laboratory, of which he was the Director, for my thesis work. I remember being impressed by his obvious passion for what NCL was doing, his clear articulation of NCL’s plans, and his ability to engage energetically on a wide range of subjects. As Director of NCL, Dr. Mashelkar charted a new course for the laboratory, making it internationally-oriented. Looking back now, what is particularly impressive is that NCL embarked on this process in 1989 even before economic liberalization started, though obviously the economic deregulation process that started two years later provided formal policy support. Dr. Mashelkar and NCL can legitimately take credit for being the pioneers of providing outsourced R&D services from India – they identified this opportunity many years before the IT industry and pharma industry discovered it. Later, as Director General of CSIR for over a decade from 1995, Dr. Mashelkar had the opportunity to make greater impact at the national level. I consider his most important contributions during this time to be raising awareness of intellectual property and its protection, and creating a foundation (with Anil Gupta) for inclusive innovation in the country. I am very glad that Dr. Mashelkar took the time to compile and edit this set of essays and lectures. And, I recommend them strongly to anyone who has an interest in the future of innovation in India. What follows is not a review of Dr. Mashelkar’s book, but a pot-pourri of thoughts that were triggered while reading it. Will Access to Natural Resources or Knowledge Intensity be more important? One of Dr. Mashelkar’s early points in the book is how industry and commerce is becoming more knowledge-intensive, and that knowledge-driven industry is becoming a major generator of wealth (p. 32). He calls for aggressive policies and initiatives to help India embrace this knowledge revolution. While I agree with his overall assessment, it struck me as ironical that the biggest locus of corruption in India is land; one of the major show-stoppers of industrial development is our inability to manage our coal reserves to generate power; many predict that the most nasty battles over the next 100 years in India will be over water; and the hunt for natural resources including oil and rare metals is taking countries like China and India to unfamiliar locations all over the African continent. In fact, our inability to manage natural resources may well thwart our ambitions of becoming a more prosperous nation. Knowledge is powerful, but natural resources are far from losing their importance in the world! 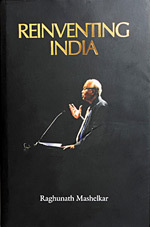 In many of the essays, Dr. Mashelkar predicts that India will become the centre of knowledge in the years ahead. While his optimism and earnest desire to see India ahead in this arena is motivating and infectious, I have difficulty in accepting that our lower costs will constitute a durable advantage. Already, in the IT industry, wages have gone up to the extent that our cost advantage over the developed world has reduced from 5:1 to 3:1 or even 2:1. It is only because out IT services industry has built other layers of advantage like superior project management capabilities, quality processes, domain expertise, and the ability to quickly adopt, diffuse and scale-up new technologies that it has been able to sustain its competitiveness. In fact, I could even say that in the past our low cost manpower was more of a curse than an advantage – we tended to throw people at projects rather than find more intelligent (and knowledge-intensive) ways of solving them. Dr. Mashelkar argues that we should be proud that we have done so much in science and technology with so little resources. For example, he points out that our entire national Science & Technology budget is often lower than that of a single multinational company (p. 44). There is undoubtedly some truth that India is an efficient innovator – this has been found in many comparative studies of innovation across countries, and even at the level of companies (in its annual study of innovation, consulting firm Booz has identified India’s Tata Motors as a “high leverage” innovator). But I wonder whether there is a need to break down this cost advantage into labour and other cost advantages. Cost arbitrage from labour will not be sustainable, and we need to find more defensible forms of cost advantage. Looking back at history, I often think that Henry Ford was one of the most successful frugal innovators – the automobile assembly line enabled mass production that made the car an affordable product. In more recent times, the Toyota Production System and associated lean manufacturing techniques provided Toyota with cost and efficiency advantages that took almost two decades for others to emulate. In The Rise of the Creative Class, Richard Florida argued that a region’s support for social diversity and maverick behavior is an important factor in determining whether it will be an innovation hub. Tarun Khanna has for long argued that India will do better than China in the long run because of our traditional entrepreneurial strengths and our support for entrepreneurial communities. Somewhat in this vein, Dr. Mashelkar argues that democracy, demography, and diversity are India’s major advantages over China (p. 63). While this line of argument is consistent with what we all like to believe, I wonder how it squares with what we see on the ground. Though China and India were neck-to-neck on patents awarded by the US Patent Office till 2005, subsequently China has moved onto a different trajectory altogether. China is well ahead in terms of research paper output as well, and the gap is, if anything, increasing over time. China is no slouch when it comes to start-ups either, particularly in emerging areas like clean energy or mobile commerce. This is an area that needs considerably more study, and I hope to return to it in a future post. What will it take for a resident Indian scientist to win the Nobel Prize? Dr. Mashelkar asks this question which, I am sure, has struck many of us at some time or the other. His answer? – the need to work on inter-disciplinary problems that cross traditional scientific boundaries; the ability to pose the right problems and questions; and strong aspirations. He encourages the cultivation of a spirit of irreverence that is needed to break out from tired old ways of thinking. Interestingly, he also suggests that a certain component of elitism is necessary – I guess what he means is that we may have to differentially support those who by their prior work have demonstrated higher potential. Dr. Mashelkar’s recipe gels well with a discussion I recently had in class with a group of research scholars from Bangalore’s leading research institutions like the Indian Institute of Science and NCBS. We were discussing a case on Robert Langer, the prolific researcher, inventor and innovation catalyst at MIT. 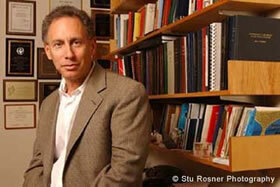 Professor Langer’s work has been used in more than 25 startups. He has more than 800 US patents (or applications) to his credit. And, hundreds of research papers. He has won almost every prestigious research award except the Nobel prize. Trained as a chemical engineer, he collaborates with physicists, biologists, chemists, and scientists from many other disciplines. His first major scientific discovery was a novel method to prevent angiogenesis (the creation of new blood vessels) in tumors, based on extracting cartilage from sharks. To start with, his papers were rejected (a problem often faced by those working across disciplinary boundaries) and his method questioned, but he persevered to silence both his academic and industrial critics! There is plenty of evidence of irreverence, asking the right questions, inter-disciplinary thinking and just dogged persistence in Langer’s life story (See “The Langer Lab: Commercializing Science,” Harvard Business School Case Study No. 9-605-017 and “Hatching Ideas, and Companies, by the Dozens, at MIT,” The New York Times, November 24, 2012, for more details). The power of dreams, of aspirations and intent well beyond one’s current resource endowments and achievements, is well known. Dr. Mashelkar’s good friend, C.K. Prahalad, was well known for his concept of strategic intent in which he and Gary Hamel showed how companies like Komatsu had used the power of dreams (and well thought out strategies!) to achieve international leadership positions. Dr. Mashelkar’s thoughts on Reinventing India contain several powerful dreams that should inspire all of us to strive to put India on a completely different innovation trajectory. Dr. Mashelkar is a great believer in the power of positive thinking, and repeatedly urges us not to give in to defeatism or self-doubt. Building creative confidence is central to building strong innovation capabilities, and Dr. Mashelkar’s message should go a long way in sowing the seeds for such creative confidence.